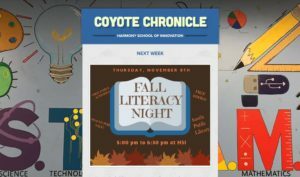 Here is this week’s Coyote Chronicle. Enjoy! https://harmonypublicschools.network/hsiaustin-new/wp-content/uploads/sites/98/2017/10/HSI-Austin-logo-white-300px.png 0 0 Central Office https://harmonypublicschools.network/hsiaustin-new/wp-content/uploads/sites/98/2017/10/HSI-Austin-logo-white-300px.png Central Office2018-11-01 11:00:222018-11-01 11:00:22Bilingual Teachers Needed!